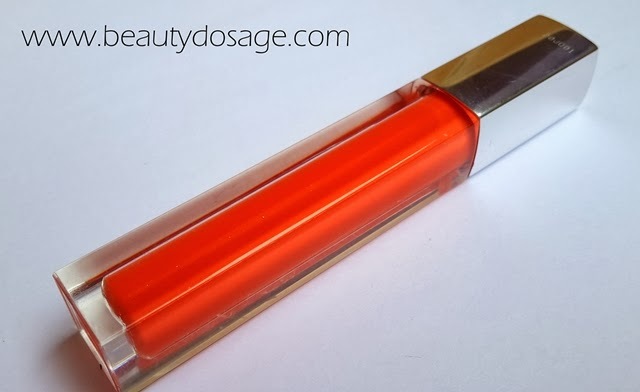 I recently hauled a few items and included in that was something I really wanted to try which is the Maybelline Colorsensational High shine Lipgloss in shade ‘captivating coral’. This is going to be a detailed review, swatch and lots of pictures. 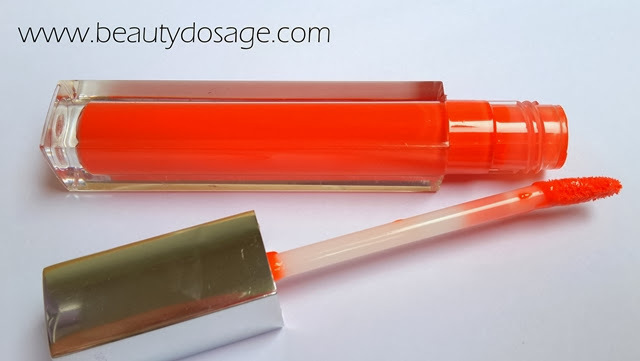 These high shine lip glosses are a re-release from their previous colorsensational gloss’s one of which I reviewed HERE. 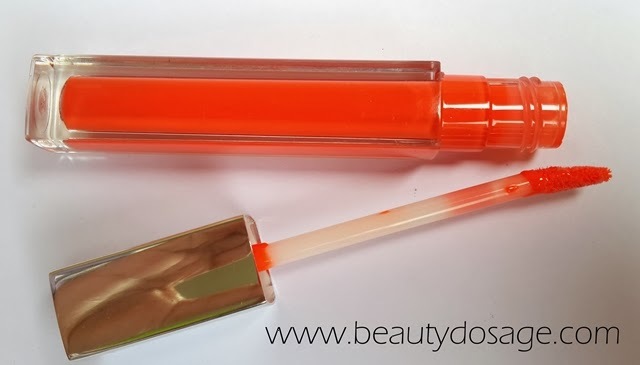 The packaging is a lovely see through tube with a silver cap and the applicator is your typical doe foot applicator. I love this packaging a lot more as opposed to their previous packaging which is much thinner. I also love the fact that I can clearly see the colour through the packaging which makes it easier to spot. The application is simple and the wand makes it really easy to get around the curves of your lips. Moving onto the product itself the opacity is a lot better making its characteristics slightly similar to that of a liquid lipstick. It doesn’t feel sticky on the lips at all which makes it easy to wear throughout the day. I love that the glosses are a creamy texture without any shimmers or glitters this makes the gloss wear off evenly without patchiness. 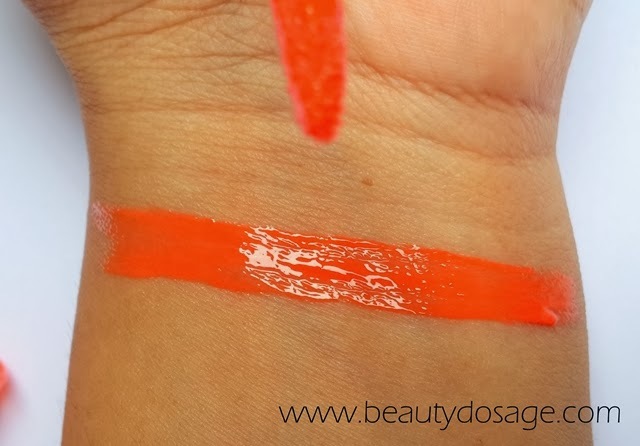 The shade ‘Captivating Coral’ is a definition of a perfect orange. Although it’s a summer shade it’s not too bright to the extend making it not wearable for everyday. The gloss wears for about 2 hours by itself and 3 hours over a lipstick which is a decent wear time. The scent is a fruity scent very similar to their previous formulation but less harsh in my opinion. 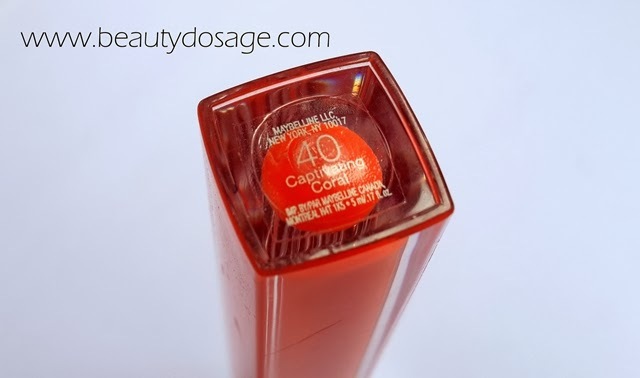 What’s great about the Maybelline Colorsensational High Shine Lip gloss in captivating coral? 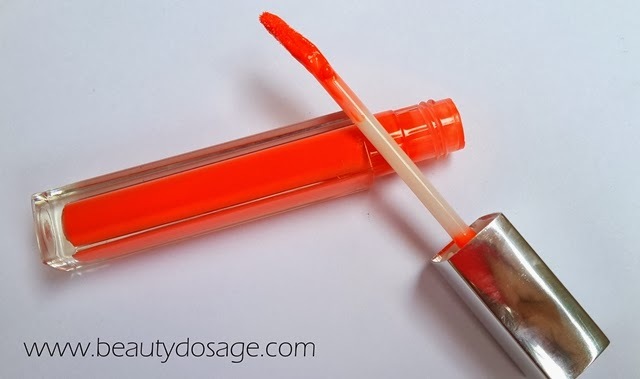 What’s not so great about the Maybelline Colorsensational High Shine Lip gloss in captivating coral? I HIGHLY recommend these gloss’s they are greatly pigmented and has a lot more great points that most glosses do not have. These are great gloss’s to start your makeup kit with! Wauw. Its very pigmented. Nice! yeah it is :) more like a liquid lipstick!